ADDIS ABABA , Jul 2 2013 (IPS) - As Africa transforms its economy, it will need modern jobs and increased productivity to fight hunger on the continent, African leaders agreed at a two-day summit. The leaders agreed that agricultural investment and budgeting for the continent’s poor will end extreme hunger and boost the development of African economies when they met at the “End Hunger in Africa by 2025” summit in Addis Abba from Jun. 30 to Jul. 1. “Africa is discussing the transformation of its economy and to do this we need to put the (focus) on what losses are being made because of hunger on the continent, and what needs investment,” Carlos Lopes, executive secretary of the United Nations Economic Commission for Africa, told IPS. “The need for investment in agribusiness, modernisation of agriculture and a transformation of Africa’s industrial base is what I have been impressing on heads of state. Africa needs modern jobs and a totally different type of productivity,” he said. The summit was the biggest meeting focused on ending hunger in Africa since the Comprehensive Agricultural African Development Programme (CAADP) declaration in 2003. CAADP was established as an initiative for the mobilisation of resources, for south–south commitment and for countries to dedicate a portion of their national budgets to poverty reduction via investment in smallholder farmers. The International Monetary Fund and the World Bank estimate economic growth in sub-Saharan Africa will reach 5.5 percent in 2013 and 6.1 percent in 2014, well above the global average. Yet one quarter of all Africans still suffer from chronic hunger. But Africa is looking to Brazil for solutions. In 2003, former Brazilian President Luiz Inácio Lula da Silva launched the widely-praised Zero Hunger programme in his country, which helped 28 million people overcome extreme poverty in two years. Lula advised African leaders at the summit to see pro-poor spending as an investment and not as an expense. “It was a stimulus to Brazil’s economic growth, where the poor quickly became consumers,” he said. Brazil currently buys 30 percent of the ingredients for school meals from smallholder farmers. The country, which has the fastest-growing middle class in Latin America, annually invests 500 million dollars in purchasing food from smallholder farmers and 12 billion dollars in direct cash transfers to assist farmers “grow” out of poverty. “If it’s possible in Brazil, then it’s possible in Africa,” da Silva said. African leaders agreed to boost their support to farmers by increasing cash transfers and purchases of produce to guarantee demand for small farmers’ produce. Brazilian Minister of Social Development and Hunger Alleviation Tereza Campello told IPS that overcoming hunger was not only a moral imperative “but a choice of model economic development with heightened social inclusion. “In Brazil, the creation of formal employment, the increase of the minimum wage, the strengthening of small-scale farmers and the implementation of conditional cash transfer programmes have all helped to minimise hunger,” Campello said. Forngueh Alangeh Romanus Che, councillor of the Regional Platform of Farmers’ Organisations in Central Africa, said that although the Zero Hunger programme was successful in Brazil, any similar initiative launched in Africa must be mindful of the regional context. “We need the Zero Hunger scheme to be given an African context. We need regional integration on the continent for the free movement of people and goods,” Che told IPS. He said that Africa needed more than a social protection scheme. “We need to develop social and economical schemes that fast track agricultural production. 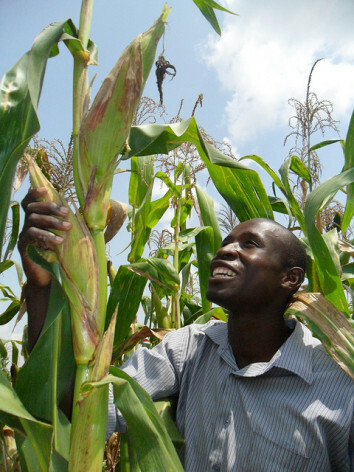 Pro-poor spending in Africa needs to give farmers access to credit and access to land,” he said. Malawi is one of the African countries that have achieved the Millennium Development Goal (MDG) of halving hunger by 2015. The southern African nation has come to acknowledge in recent years that investment in agricultural development positively impacts other MDGs such as access to clean water, healthcare and the economic empowerment of women. Domestic spending in Malawi’s agricultural sector has been increasing by between five to eight percent per year. The country currently devotes 18 percent of its annual national budget to agriculture, while CAADP requires only 10 percent of a country’s national budget. “Agricultural investment is essential to our country, otherwise we risk total collapse in terms of food security, the economy and the population,” Malawi’s Minister of Agriculture and Food Security Peter Mwanza told IPS. Malawi’s economy is agriculturally dependent on the export of sugar, cotton, legumes and cassavas. Eighty-five percent of foreign exchange is earned from the farming sector, and 80 percent of the labour force is employed in the food and agriculture sector. Government and private sector investment in Malawi’s farmers is now seen as more critical than ever to the country’s resilience. And, Mwanza said, investment in commercial agriculture to produce Malawi’s staple foods – cassava, maize and rice – will create a surplus that will in turn guarantee food security and a higher income for small farmers. “It’s time to think big. We need private large-scale commercial production of our agriculture for export purposes. We want to attract more investors as they will make the economy strong and therefore our farmers stronger as a result of greater employment and income,” he said.